A front that dropped around 200mm of rain on the ranges of South Westland during Wednesday and caused the temporary closure of State Highway 6 between Makarora and Haast, is now making its way across central and northern New Zealand. Although the rain isn’t expected to be as prolonged as it was on the West Coast, the front remains active and brief heavy rain is forecast for several places. 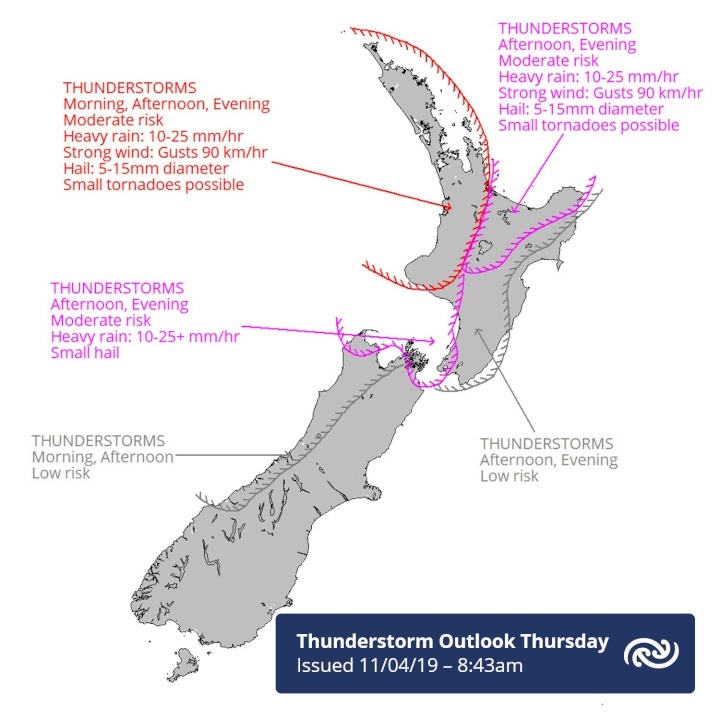 A Severe Weather Watch is in force for northeast Marlborough, Wellington and southern Wairarapa. A showery southwesterly flow follows the passage of the front, with cooler temperatures forecast as we head into the weekend. A narrow ridge of high pressure brings clearing weather to most places on Saturday, with a cold start expected over much of the South Island. A weak front moves up the country during Sunday and Monday, with showers returning to southern and eastern areas and temperatures remaining cool. Find more from MetService on InfoPages.